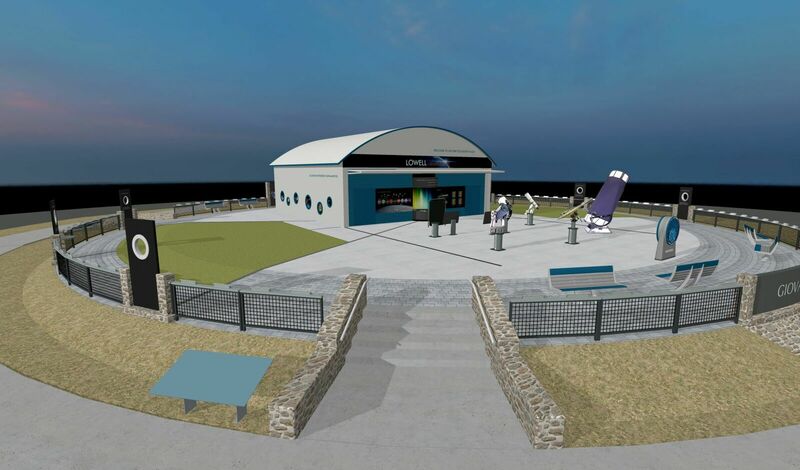 The Giovale Observatory will open later this year. I've assisted Lowell Observatory in planning for what has affectionately become known as the "GODO" and will be happy to respond to any questions about this project from other CN members. TEC = Telescope Engineering Company - and this is their most popular model, AP is another outfit, yep it's a boo-boo. Impressive array of scopes and uses, wish i live a lot closer. Thanks for Posting this! That is very impressive! Is this being built out on the observatory grounds? It's been about 15 years since I visited, my memory is a little vague now of the place. WOWl I think a trip to AZ could be in my future. Cool - A scope-sampler circle! I know they get a LOT of visitors... have a feeling those obvious commercial-branded scopes are donated... which would be a win-win? But, the classic 24-inch Clark Refractor will still dominate! Ostensibly the best ~great refractor~ ever made. Yes - I think some confusion crept into the copy because the TEC 140mm is on an Astro-Physics mount. I will let LO know. Thanks for the correction. 8" f/12 custom Victorian style refractor built by Mark Turner of Moonraker Telescopes. Lens is 204mm f12 multi coated lens supplied by APM UK. Mount A-P 1600 GTO. Edited by BFaucett, 19 March 2019 - 08:11 PM. Yes - it is being built to the west of the Slipher Building - the building with the dome-shaped Rotunda in front - and a bit south of the Pluto telescope. It is right where the Lowell water tanks used to be - no surprise since that is a nice high location. The telescopes were selected for their strengths of different types of sky objects. All were funded by generous donations from Lowell's supporters and donors. As far as I know none were donated by telescope manufacturers. Lowell Observatory is alive the thriving because so many people generously support it and because it has so many enthusiastic visitors. If you want your contribution to go specifically to the GODO - please indicate that in the comments box. You can also donate by phoning the Observatory at 928-255-0229. Yes - the 24" Clark is a truly impressive telescope. I'm very, very fortunate to have had some wonderful views through it. I viewed M15 through the 24" f/11.3 Clark quite a few years ago and have to agree. Thanks for the link to the Astronomy Now article. It is a great write-up and I had not seen the film of them lifting the 24" before. I visited the Lowell Observatory about 6 yrs. ago one night. It was partly cloudy so the 24" telescope was not open. They had a Orion 8" Dob looking a Jupiter, and when I took a look, it was way out of focus. I focused it for my eye and asked the lady that had looked at it before me if it looked focused for her. She said it just looked like a big bright blob. I told her to look again and use the knob to focus it for her eye. She took another look and was amazed. The person in charge of the scope could care less if it was focused for their guests. I moved to the 16" telescope, and it was out of focus also. I tried to focus the scope but the focuser was locked down and the guy in charge of this scope said they focused it correctly and no other adjustment was needed. I told them I had 50 years experience with telescopes and why don't they let the people get a view that is in focus. He said it would take too much time to focus it for everybody. There was only a dozen people there that night. I hope they change their policy with the new scopes. Wow, love that Moonraker!! Those telescopes look like a lot of fun! I'm a BIG advocate of assisting guests to get the best focus. It make a huge difference in the experience for them. I will discuss this with my colleagues at Lowell. Check in with Lowell - They have not set an opening date and I'm not sure if the GODO will be open in September. Even if not LO is very much worth the visit. I will post when an opening date is known. Thanks for your comment and apologies for your bad experience. We are addressing this exact issue for our new observatory opening. Hopefully you never have anything but positive experiences at Lowell in the future. I visited Lowell about 3 years ago and quite enjoyed it. One scope had just been restored and it is just a beautiful piece of mechanical art. That new scope in the photo above is gorgeous, too! So elegant. Anyway the funny thing about my visit is that perhaps what I remember most is that I finally learned what sun spots are and how they occur. A woman giving a daytime presentation made it all so clear and I've been grateful (and excited about sun spots) ever since! Edited by Groundhog, 21 March 2019 - 07:01 PM. That 8" victorian style refractor is a work of art. That’s an amazing lineup of nice scopes, very well taught of. To be able to observe an object though each aperture, or the data collected, same air column, same night, beyond value. To look through any one a privilege imo, quite the lineup and as far as I know comparatively unparalleled? This new suite of telescopes will be available for group/individual after-hours specials. I have no idea yet what the charges will be. We will continue to offer that on the 24" Clark as we do now. There is a high probability of another 24" scope for the Public Program in a separate dome within the next 12 months, but not confirmed yet. Should know within a matter of days. Craziness, I tell ya! Edited by rockethead26, 22 March 2019 - 12:29 AM. Sorry if I seem repeating myself. The 32" StarStructure, 2 PW SDK's, a 16" Meade ~R/C,... the amazing 8" MoonRaker and the 140mm TEC refractors. Adding the EAA aspect ...That is crazy and unique. Any way you slice it you are in for a treat. Congrat's and bravo!, a destination astro vacation. 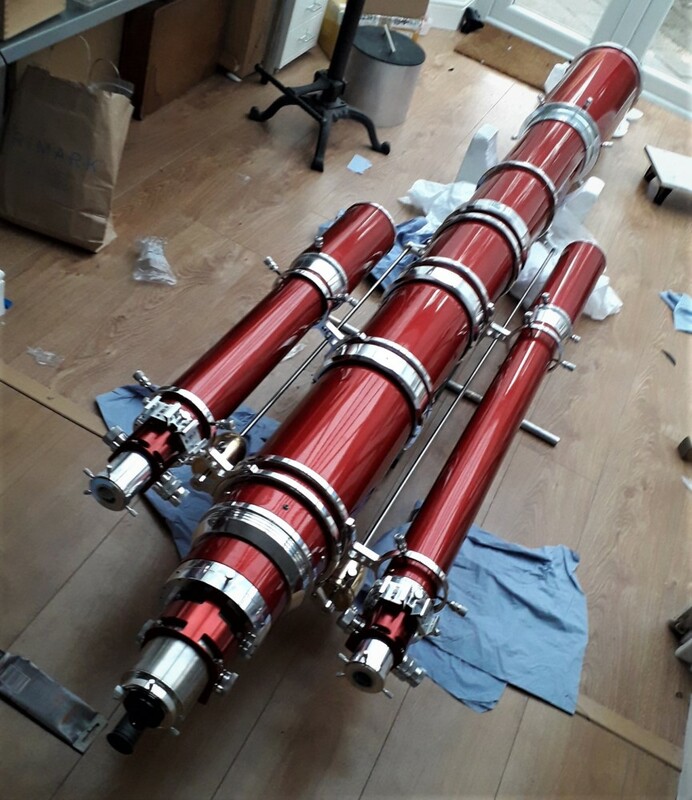 I can't get anything done this morning for being fixated on this beautiful telescope. What a beauty! Meade autostar 495, giving motor fault warning all the time. Has anyone come across this - ASI1600MM temp decreases and FWHM increases? Testing a refractor is OK for night, in daylight.